Seniors today want to live at home—not in a nursing home. In the past, the only options were to take care of yourself or go to a nursing home. But that’s not true today. For those who just need some help and supportive services to live at home, Senior LIFE can help make that happen. And there is NO COST for services for eligible seniors receiving Medical Assistance! The LIFE (Living Independence for the Elderly) Program is a home- and community-based model of care authorized by the state of Pennsylvania. It is an alternative option to Community Health Choices (CHC), and participants can choose to enroll at any time. 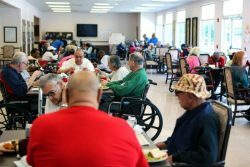 Through the LIFE Program, members receive all medical, social, and personal support services needed in order for them to remain in their own homes and avoid placement in a Skilled Nursing Facility. 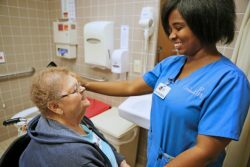 Senior LIFE coordinates a member’s Medicare and Medicaid services—providing care in the local LIFE Health and Wellness Center and in the home as needed. Senior LIFE has LIFE Health and Wellness Centers located across Pennsylvania—in Greensburg, Uniontown, Washington, Waynesburg, Johnstown, Ebensburg, Indiana, Altoona, York, Reading, Lehigh Valley, and Harrisburg. 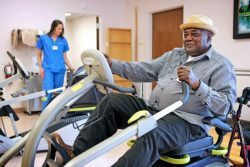 The local LIFE Health and Wellness Center is more than just a senior center. 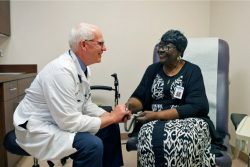 It’s staffed by local doctors and nurses and other healthcare professionals from your community and features a medical clinic, exam rooms, therapy and rehab center, recreational room, and personal care facilities. It’s a warm and inviting place where LIFE members can socialize, enjoy hot meals, see the doctor, receive therapy services, obtain personal care, speak to their social worker, and so much more. Members of the LIFE Program receive all medical and support services through Senior LIFE. That means Senior LIFE is a one-stop shop for all senior health and supportive services. No more driving to and from different doctors’ offices and trying to keep track of where you need to take your loved one for an appointment. There’s no need to travel to the local pharmacy. 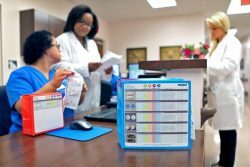 Medication management is taken care of through the LIFE Program, and all medications are delivered directly to the member’s home in packaging that’s easy to open and understand. Plus, you can always talk to a pharmacist at the LIFE Health and Wellness Center. Senior LIFE provides help with emotional, family, and social issues through the local LIFE Health and Wellness Center. When members enroll, they are assigned a social worker who manages and coordinates their care. Social workers are able to connect members with helpful resources within the community, as well as provide family support and individual counseling. Senior LIFE members also have access to a wide range of other services that extend beyond medical care. Your local Senior LIFE Health and Wellness Center is not just a doctor’s office—it’s a bustling place filled with your friends and other members of the community. Members may also receive in-home services as part of their individualized care plans. These are coordinated through a member’s social worker at the LIFE Health and Wellness Center. If you are currently 55 years of age or older and meet the eligibility requirements for the LIFE Program, you can choose Senior LIFE as an alternative option to Community HealthChoices. The Senior LIFE Program gives elderly adults health choices that allow them to live quality lives at home. Want to learn more? Find the location nearest you.